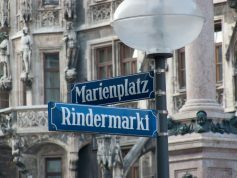 I offer German and Italian courses for companies in Munich. The question you might have is why offer a company course? Globalization. Today not only big companies but also the smaller are forced from the economy’s globalization to look outside their national borders with the purpose to increase competitiveness, importing cheaper resources than the local one, and profitability, exporting abroad. It requires personal communication skills (in some culture the small-talk is almost mandatory) and specialist communication skills (think about slang terminology present in any technological-scientific sector). Italian course for companies. For those companies with seat in Germany that have a commercial relationship with Italian partners and wish their employees are fluent in Italian to communicate as clear and direct as possible with the partner. German courses for companies. This is the case of a company with an office abroad that decide to send a representative in Germany. In this case, a German course is suggested for the employee to ease his integration into the new condition. Immigration. A booming economy like the German one, plus instability and a cyclical crisis in European countries, adding also the easiness to move from one EU country to another. These are all factors that determined an increased migration flow to Germany in the last 10 years. A consistent part of this migration is composed of high educated professionals (technicians, mathematicians, engineers, doctors, professionals of any kind) that for their job need a good fluency in German. No need to say, not only in their job environment they need to speak a good German. For the purpose of making easier the communication between employees of the same company, many employers consider useful that their employees learn a foreign language, German or Italian. A language course is in the interest of the professional that want to be able to present is offer to a potential client or a new employer. to make in the way that working instructions are passed to the employee clear and direct without misinterpretations. The time that an employee has available for learning a new language, Italian or German, is usually quite reduced. Therefore a course hold in the company offices saves the employee the time required to travel to the language school. It is a convenient and efficient solution for the company and its staff. Another advantage of a company course is that it is easily tailored to the need of the student. Additionally is possible to group the students according to their levels and lessons time preferences. The lessons focus on teaching the essential grammar, as well as apply the learned concept in a professional context with simulations of situations and dialog where is requested to speak either German or Italian. Intensive course: every day one or two hours. Group course with up to 15 learners. At the beginning of the course will be done an assessment to define the current level and the needs of each learner. In terms of contents, the course is tailored to the client needs and requests. Upon request, the linguistic jargon context where the company operates is explored and deepened. To verify that the course is meaningful for the company and the aims of the course are well in sight a report of the progress of each student is compiled. The report is done regularly, normally at the end of each block of lessons. If you want a quotation or want to discuss further please go to my contact page.